Combined Linux client and server new license (subscription) revenue is growing at a compound annual growth rate (CAGR) (2007-2012) of over 19%; whereas Windows client and server combined license revenue is growing at a CAGR of only 8.7%. When examined individually, Linux paid client shipments are growing at a CAGR of 15% and Windows client shipments are growing at a CAGR of only 8.9%. On the server side, paid Linux shipments are growing at a CAGR of 9.4% while Windows is growing at a CAGR of 7.9%. Installed base statistics are always interesting to examine because they can allow you to predict when the Linux installed base will exceed the Windows installed base provided certain growth conditions hold. The Linux client installed base is growing at a CAGR (2007-2012) of 18.6%; whereas, Windows client installed base is growing at a 9.9% clip. Linux server installed base is growing at a 13.5% rate; whereas, Windows server installed base is growing at only 8.9%. When Lynn Bender came to me with his grand plan for Linux Against Poverty, I never in my 56 years imagined the impact his efforts would have on not only us, but the disadvantaged kids of Austin and the surrounding area. Through Lynn’s efforts, we were able to put together over 200 workable computers and give them away to those needing them most. The growth of Linux in developing regions. Since I started my Blog I noticed an interesting trend. A lot of the readers and individuals who link to my Blog are from developing regions around the world such as China, India, Indonesia and Central/South America. However, most of the time when I am writing about Linux I am concentrating on the North American and European market and there is a huge audience that I am not targeting mainly due to the fact that I don’t know much about these regions. One thing is for sure though, while the adoption of Linux is surely increasing in the “West”, the future of Linux growth will certainly come from the developing world as well. You’ve finally decided to try Linux. The installation went without a hitch (they usually do these days) and you’ve got a shiny new desktop sitting in front of you. What do you do next? It’s a whole world of limitless possibilities. Thanks to the nature of open-source development, thousands of applications, games, tools and utilities can be installed with just a few mouse clicks. The Eeebuntu core team met today to discuss the evolution of Eeebuntu, and what we can do to improve stability in the future while maintaining an award winning operating system. Look, don’t buy into all the hype. Just get Linux. You’ll avoid the crowds and price tag. You’ll also avoid Windows viruses, Trojans and spy-ware. You can download Linux for free, install it on any computer you own, and have access to thousands of terrific software apps. Plus, Linux has one of the coolest 3D environments around! * KDE – it’s my desktop environment and one of the most important reasons why I’ve switched back from OSX to Linux. “After 10 or so years, distributed computing on Linux and x86 cluster platforms continues to deliver impressive performance gains while driving price points which enable adoption of HPC applications,” said Crystal Smith, a spokesperson for Penguin Computing (San Francisco, Calif.). A week ago we shared a status update on the Nouveau driver to clarify an earlier posting that the Nouveau driver is not dead. In the past few days though the Nouveau Wiki Feature Matrix was updated to reflect the latest changes in this open-source, third-party NVIDIA graphics driver. Red Hat’s KVM virtualization technology is so advanced that it will inevitably consign the Xen hypervisor to the technological scrap heap. That’s the view of Navin Thadani, a senior director of the Linux vendor’s virtualization business. “We see consolidation as being inevitable, and in the medium term in this market we believe that will leave VMware, Microsoft and Red Hat,” he said. Back on the 2nd of October, X Server 1.7.0 was released after several delays with getting this major, MPX-bearing update released. However, the X.Org 7.5 release of all of the updated X packages was not released at the same time as X Server 1.7, in fact, it’s still not released. Early this morning though the first release candidate of the X.Org 7.5 packages were made available. Karmic Koala is Brilliant. It is a major update to Ubuntu. The new look and feel is really great. I doubt it will be changing much more before release but as always I should probably add a YMMV here. If you are using Jaunty or earlier on your desktop, I’d recommend that you give this release a try. If you are thinking about coughing up hard-earned money for that other operating system that is coming out this month, don’t. You’ll be wasting your cash and be getting a less secure, less functional, more resource hungry and just plain worse OS to boot! And do remember I’m still using the Beta version of Ubuntu. The GA release will be out on the 29th Oct. But let’s also send a message of cooperation, collaboration, inclusion and hope: Let’s make something representing us, the Ubuntu and Free Software community, as a picture of a world that want real change in our lifetime! Closed Design or No Design? Something is better than nothing. Last December, Ubuntu came under fire when they unveiled the Notify-OSD design which was developed behind closed and locked doors. In response to the criticism of closed design, the Ayatana project was founded as a way of opening Ubuntu design processes and providing a way for others to participate. However, as with many mailing lists, the value in opening design and having a public forum is questionable as to how much value it provides compared to the overhead of managing noise. Ubuntu 9.10 aka Karmic Koala is scheduled for release October 29, 2009. Ubuntu 9.10 is currently in Beta. There will be one more release called “Release Candidate” before the October 29 release announcement. Well, why wait when you can upgrade now. Most of the grunt work for Ubuntu 9.10 has already been done. The smartphones, built on Google’s open source platform, are destined for China Mobile’s burgeoning 3G network. Considering the way Google’s Android is finally taking over the major smart phone platforms and manufacturers, competitor Microsoft with its Windows Mobile application is actually struggling to keep abreast with the development pace set by the Android. Although both share the ability to perform well on different hardware platforms, the trend indicates that many major players in the smart phone market are moving towards Google’s option rather than Microsoft’s. Debian package maintainer, Luigi Gangitano, for Drupal, a FOSS content management platform, did a great job making the software both customizable and maintainable. The package supports configuration of multiple virtual hosts which can all be upgraded at once! And the Debian drupal6 package stores the look-n-feel in /etc/drupal/6/themes/ so that each site’s GUI can be customized without interfering with upgrades. If only all web applications were built to be as maintainable as Debian’s Drupal package! Following on the heels of the 2008 Open Source CMS Market Share Report, this year we collaborated with water&stone to produce an improved 2009 version. The report is an interesting study of 20 dominant systems in the market. It’s really not about which CMS is best, nor about relative comparisons beyond brand strength, sentiment and adoption patterns. We’re aware of this. What is Open Source Software, and how can it benefit you? Open Source Software is free software that allows you to use it, modify it, or as “Nixie Pixie” says, “can do almost anything” that the more expensive software options offer. In today’s economy, Open Source software can allow a family to save money and still have the latest computer software for their computer. Unicon, Inc., a leading provider of software consulting services and open source solutions for the education market, today announced its fall webinar series of presentations about open source applications in higher education. The presentations will focus on open source portals, learning management systems, identity management, and other open source applications, platforms, and technologies. CIOs, administrators, and IT personnel from higher educational institutions are invited to attend at no charge. Seating is limited. Information about these webinars is listed below. Asay and Tiemann, mano a mano. What Matt doesn’t seem to get is that this split-personality marketing of “we do all this open stuff, except for this scarce bit we’re charging you for!” is a prize example of a house divided unto itself. You can’t sensibly talk about the benefits of open source without contradicting yourself completely when it comes to the paywall behind which your proprietary software sits: basically you have to fess up that the open source bits are the bait. What Michael’s post illustrates nicely is not just a clarity of purpose, but a 100% commitment to what they tell their customers: no ifs, no buts, but a single compelling story. Customers understand the value they offer, and that’s why they make money. Rock the vote? Trust it first! Next week, a gathering of government officials, Hollywood progressives, techno-geeks and Rock the Vote officials will meet in the home of film producer/activist Lawrence Bender to discuss “open-source voting” and how to achieve reliability and accuracy with digital vote tallies. Two who say they lost millions to the convicted Ponzi schemer accuse the regulator of failing to protect investors. If, up until now, you have ignored me when I’ve gone off on anti-SEC rants, now might be the time to grab the flaming pitchfork and join me in calling for the end of inept regulation. The SEC is a posterchild for waste, corruption and ignorance and sadly the agency does not seem to be trying very hard to clean up its image with this little move. A 29 year old?! As a 28 year old myself let me tell you, this is beyond disheartening. Deloitte? Please, the Big 87654 are the Goldman Sachs of accounting. What certifications, Bloomberg? A CPA by itself means nothing, trust me, I work with them every day. Anyone with two brain cells to rub together who can figure out how to fool the system into thinking they know what they are doing can pass the CPA exam as long as they know how to digest information through their left brain. US regulators are only deciding whether or not they should begin the process of hammering out new net neutrality rules next Thursday, but you wouldn’t think it’s so early in the game by the screeching opposition. The Home Office has agreed to a delay in extradition proceedings for Pentagon hacker Gary McKinnon while Home Secretary Alan Johnson and government lawyers reconsider evidence in the case. Google is grumpy about an AT&T-prompted FCC letter asking the company to explain the feature’s call-restricting policies. But it may be that AT&T really just wants action on a dubious business technique called “traffic pumping.” We looked into this practice and the details aren’t pretty. Ars Technica’s Nate Anderson does a nice job evaluating the claims coming from Internet research firm Nemertes Research, who made headlines in 2007 by predicting a huge spike in traffic by 2010 (the “exaflood”) that would cause internet “brownouts” (Nemertes’ answer was to limit what people were allowed to do on the internet by giving ISPs the power to cut off access to services that they didn’t like). Butler University is suing Jess Zimmerman, alleging libel and defamation. Beth Guthrie’s Web criticisms have caused such an uproar that Lawrence Township Schools Superintendent Concetta Raimondi has posted a response on the district’s Web site. Butler English Professor Bill Watts agrees and came to the defense of the blog in a letter published by the Butler Collegian student newspaper. The Massachusetts anti-SLAPP statute protects a party from strategic lawsuits against public participation (SLAPPs) by allowing that party to have a case dismissed at an early stage in the litigation and to recoup attorneys’ fees if the lawsuit is based on his or her “exercise of [the] right of petition under the constitution of the United States or of the commonwealth.” Although the statute covers a wide scope of petitioning activities and parties, the Massachusetts Superior Court denied Hollander’s motion, ruling that she was outside of the scope of the statute because she was a paid employee of the Regional Review. A Canadian copyright licensing group doesn’t care how many people do it—format and time shifting should not be made legal unless rightsholders are paid for those copies being made for iPods and DVRs across Canada. It’s classified. And, according to the Obama administration, it carries national security implications. According to leaked documents on WikiLeaks, the proposed treaty would require ISPs to terminate repeat copyright scofflaws, criminalize peer-to-peer file sharing, subject iPods to border searches and even interfere with the legitimate sale of brand-name pharmaceutical products. Access Copyright, the Canadian organisation that collects library royalties for writers, filed a jaw-droppingly dumb set of comments in the Canadian Copyright consultation. Access Copyright came out as opposing the right to record TV shows at home, and the right to “format shift” your media (e.g., load a CD on your MP3 player, or put an old ebook on a new reader or phone). They also say that almost all commercial use, no matter how trivial, should require a license and not fall under fair dealing. They come out against the interlibrary loan system, because it is digital. As the major record labels and their lawyers and lobbyists run around the globe demonizing anyone for any sort of copyright infringement, we keep hearing stories of how they falsely claim rights over music for which they do not hold them. We recently covered the story of Edwyn Collins and his inability to offer free downloads of a popular hit song — because Warner Music Group put in a copyright claim on the song. Reader Marius points us to a similar situation, over in Sweden. Despite theaters in Sweden being covered by a license agreement on musical performances by STIM, the Swedish performing rights collection society, apparently some music publishers claim that theaters still owe more money. 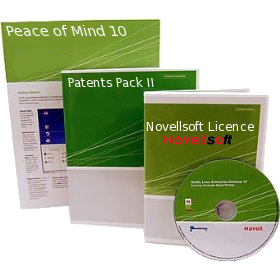 SOME people wrongly allege that Novell stopped producing good products. Not fair! Novell actually produces some new ‘property’ which it may even label “intellectual”. It has just gained ownership of another algorithm. Adaptive method and system for encoding digital images for the Internet , patent No. 7,602,984, invented by Kasman Ellis Thomas of Wilton, Conn., assigned to Novell Inc. of Provo. Intellectual property rights and their protection will be high on the agenda of the European institutions in the upcoming legislature, representatives from the European Commission, European Council and the European Parliament said at the first European Innovation Summit in Brussels yesterday. Who else is part of the same agenda and also a Microsoft ally? How about the BSA, for example? The BSA is lobbying for software patents in Europe and discriminating against Free software [1, 2, 3, 4, 5]. It should really be called BPSA, where the “P” stands for proprietary. The BSA simply does not represent the software industry, only a portion of it. What about those million or more registered Free/open source developers? I’m concerned about how the BSA bullies small companies that lose paperwork, or are victimized by angry employees who destroy the single piece of evidence the BSA considers acceptable. What evidence is that? Want to guess? If you guess wrong, you pay a fine. Is the original software packaging enough? Pay a fine. The Certificate of Authenticity on the computer? Pay a fine. The original disks holding the software? Pay a fine. WHEN the Gartner Group does not praise Windows as we showed a couple of days ago, the firm is typically saying negative things about its clients’ competition. Bill Gates is one of Gartner’s big investors and Microsoft a major client, so F/OSS bashing from Gartner is a routine thing. A lot of the time they try to change the identity and definition of F/OSS, espcially taking the “F” out of F/OSS. It ensures their money (wages) carry on coming. As a reminder of Gartner’s disdain for Free software and love of Microsoft contracts (as antitrust exhibits), see [1, 2, 3, 4]. Here is one of Gartner’s software patents lobbyists (Brian Prentice) who threw mud at ODF using shameless FUD (which turned out to be utterly incorrect). He now throws mud at FOSS, having raved about software patents for a while [1, 2, 3, 4]. InfoWorld (IDG) has more to say about it. Sam Dean too has responded, but not a single word was said about the vested interests of the source. And yes, it does matter. It was only about a month ago that Gartner also used "cloud" to throw mud at F/OSS (more here), only to be told off repeatedly by people who could easily see through the FUD and rebut with logical arguments, even evidence. Integrity of analysts is generally an issue. They usually don’t have credibility, they have clients. To forget this is to leave oneself vulnerable. Another new example regards Vista 7 as a success before it’s even released. Guess who’s behind the claims? Laura DiDio. That’s right! Those who have watched the SCO saga and the GNU/Linux world for the past half a decade will surely be familiar with her repertoire. 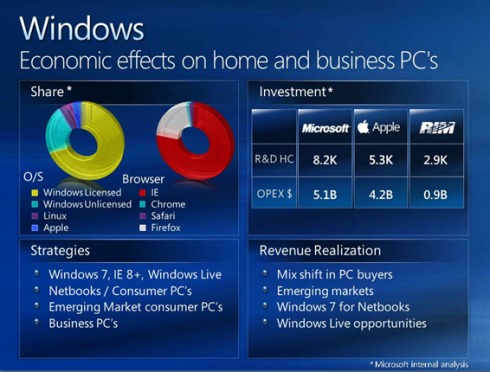 The report from Laura DiDio’s Boston-based Information Technology Intelligence Corp., in partnership with Sunbelt Software, is the latest piece of encouraging news for Microsoft in advance of Windows 7′s release next week. DiDio said this afternoon that the independent survey was conducted without any influence or funding from Microsoft, and she hasn’t yet informed the company of the results. “There is a lot of Vista 7 boosting at the moment and it is not a coincidence; it’s a matter of timing.”That’s an amusing thing to say. Microsoft paid her in advance — so to speak — for many years, so this is a lie and pure comedy. The FTC’s new requirements probably encounter an unfortunate loophole here. DiDio happens to come from the Yankee Group, which is a longtime friend of Microsoft [1, 2] (and foe of GNU/Linux, obviously). The above seems like another very familiar loophole that we wrote about (with examples) before. Often we find cases where an analyst that serves Microsoft is later (or beforehand) given a contract, sometimes a whole job. So the payments are made indirect. As for the actual claims, we all know that statistics are easy to manipulate based on desire. As another last example of what we consider to be deceptive, Microsoft Nick comes up with vapourware by mentioning Vista 8 just days before Vista 7 is released. There is a lot of Vista 7 boosting at the moment and it is not a coincidence; it’s a matter of timing.